Fatigue is an important issue for steel and composite railway bridges since they endure million stress cycles during their life. Past studies assessed fatigue resistance of bridges providing the basis for current codes, even if many important factors are not actually covered: in particular fatigue effects due to vibrations and distortions. Within this project a procedure has been developed to evaluate structural integrity and remaining fatigue life including vibration/distortion induced effects. To this purpose improved representation of traffic loads and enhanced experimental/numerical techniques have been adopted. 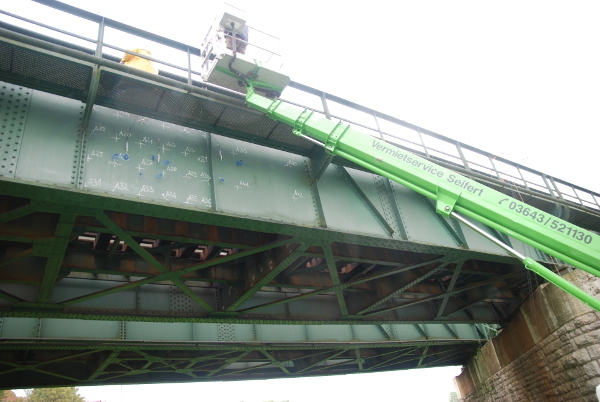 One of the major outcomes of the project was the installation of a continuous monitoring system able to measure ambient and traffic induced vibrations of the railway bridge in Grossheringen/Germany. By means of this measurements, traffic could be identified and the remaining lifetime of the bridge could be estimated.